Here are some shows taking place in the Minneapolis/St Paul area on July 1 to July 4, 2018. 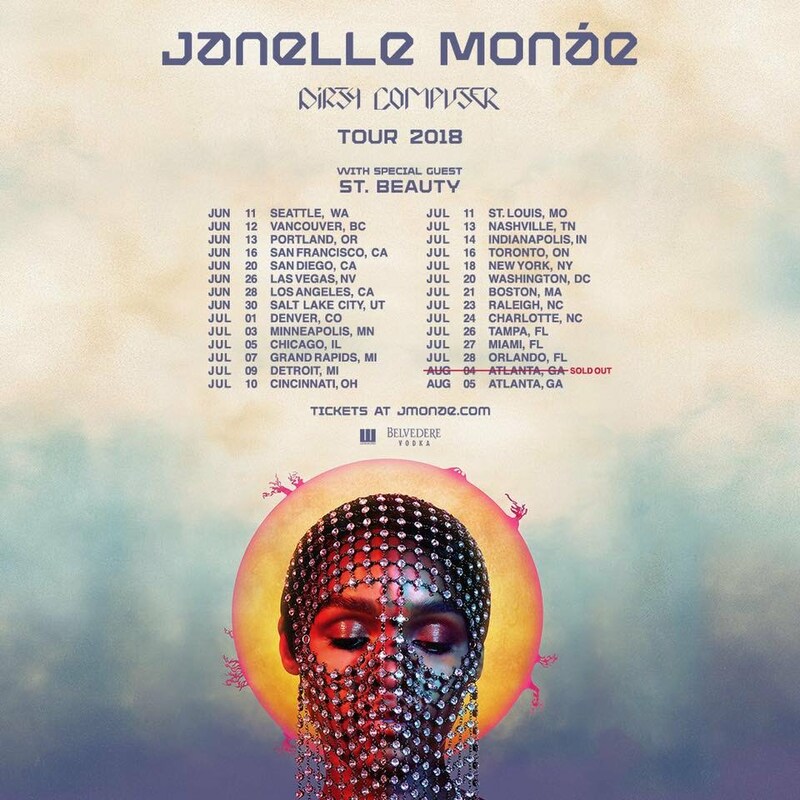 Everyone I know is really excited about having American singer, songwriter, rapper, and actress Janelle Monáe in town this July 3rd at the State Theatre in Minneapolis. Maybe this might be because she hasn’t been in Minneapolis since appearing with Bruno Mars in 2011. Monáe’s third album, Dirty Computer, is out now on Wondaland Arts Society / Bad Boy Records / Atlantic Records. 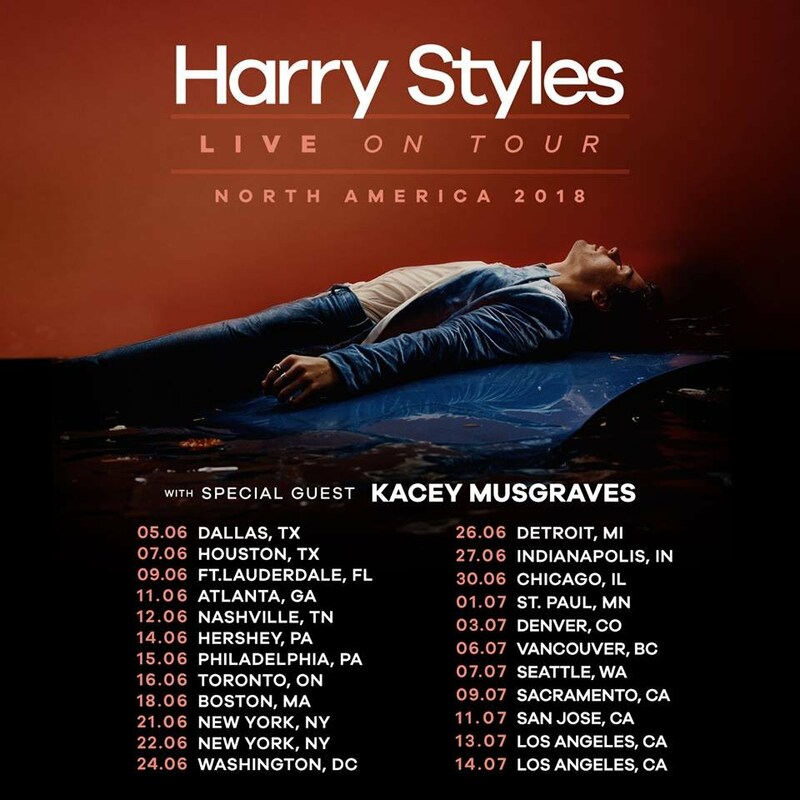 There’s no doubt that former One Direction singer, Harry Styles is more popular than ever since the group broke up. Due to overwhelming demand, the majority of this tour had been upgraded to add more seats and tickets. Styles is touring in support of his self-titled 2017 album, which featured the platinum hits “Sign of the Times” (no relationship to the Prince song) and “Kiwi”. 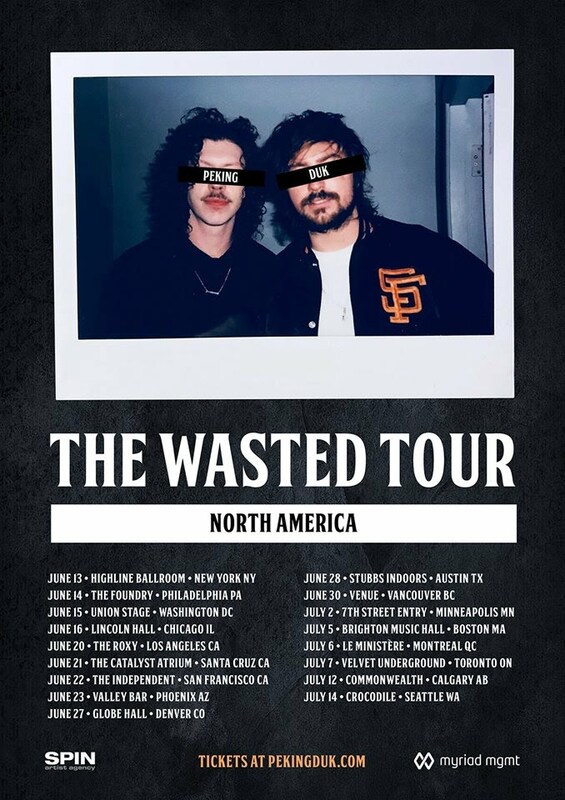 Australia’s duo Peking Duk will be headlining the 7th Street Entry this Monday, July 2nd. Their single “Fire” was the second most added track to Australian radio, streaming nearly 1 million times and broke into the Australian Spotify Top 50. 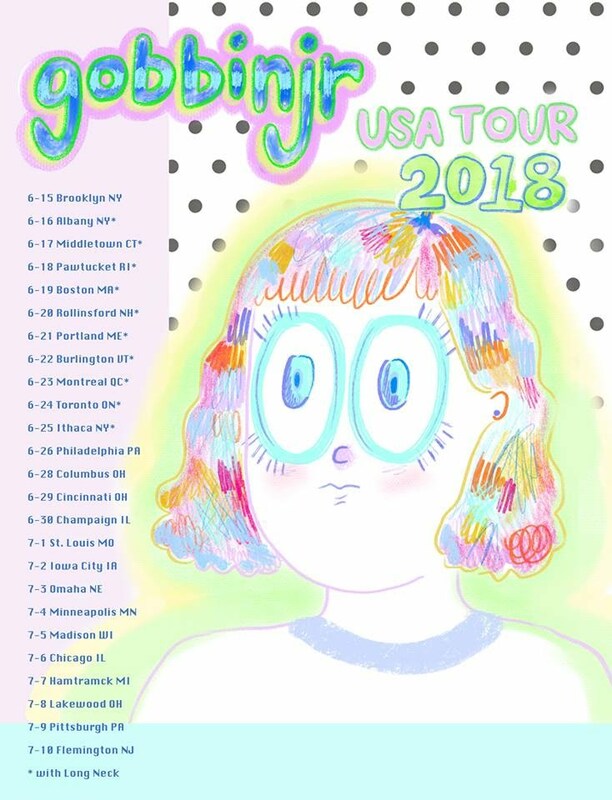 Gobbinjr (stylized as gobbinjr) will be playing the Kitty Cat Klub in Minneapolis on July 4th, Independence Day. Read more Colorblind, Colorful Music, Colors, and Color Me Fad. Remember the band Colouring we saw last year with The 1975 ? After the month-long North American tour, the London band found themselves opening for the popular LANY (Los Angeles/New York) back in the UK. Recently, the group (Jack Kenworthy, Alex, Dom, and Sean) announced that they will be playing the Hoxton Square Bar & Kitchen in London, on March 21st, and the Soup Kitchen in Manchester on March 22nd, 2018. Switzerland’s Ámaris (aka Amaris Wenceslas) is a Dutch producer, singer, author and actress grew up and is currently based in Zurich. Last year, she released Neon Colors album, along with The Hollow, under her EDM project Geiko. Atlanta duo St. Beauty (Alexe Belle and Isis Valentino) recently appeared on On the Rundown with Robin Thede to perform “Colors” in NYC’s flower district as part of The Rundown’s pop-up concert series. Watch the video here: bet.com. Detroit breakout star Tee Grizzley recently released his new song and single for “Colors”. Tee’s debut song “First Day out” had gone RIAA Platinum-certified, with over 540 million streams. He co-signs from Jay-Z and LeBron James, his acclaimed debut project My Moment and recently-released collaborative mixtape Bloodas with Lil Durk. Colors is a studio based in Germany. Their latest video is for South London rapper Flohio (aka Funmi Ohiosumah), showcasing her new single “Bands”. The video, shot as a live session in Berlin, and shows off her fast rhyming abilities.